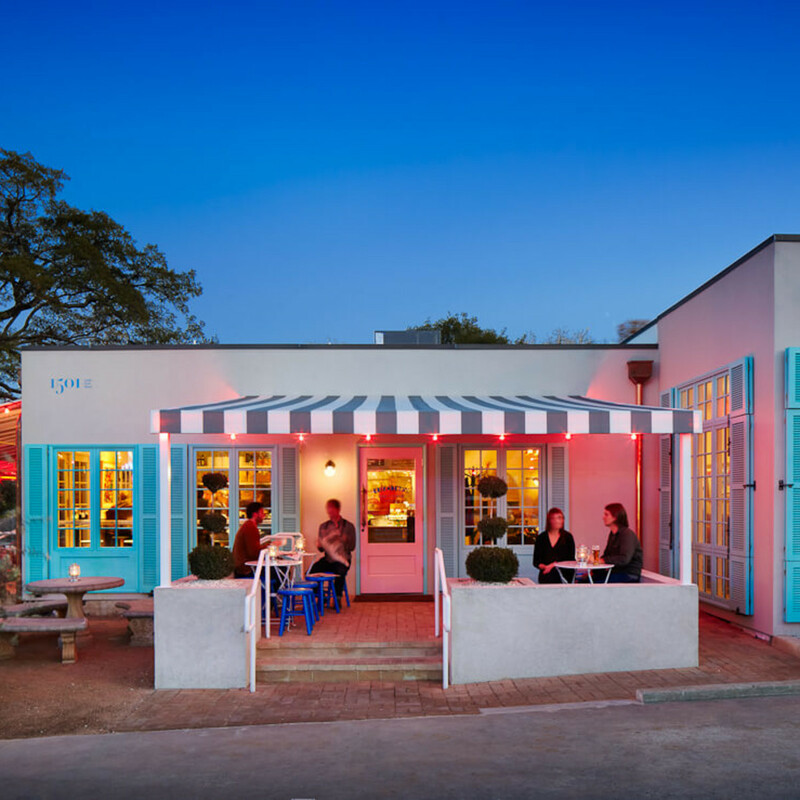 There’s no place quite like South Austin, a wonderful hodgepodge of eclectic storefronts, people, architecture and sheer funk. And South First Street, a busy thoroughfare that is a straight shot from downtown, provides a taste of that über-cool scene, from the automotive shops and art galleries housed in tiny cottages to the restaurants and day spas. We like to park, walk, and take it all in. This tiny house tucked behind the newly revitalized Greetings From Austin mural is technically just off South First, but we had to sneak it in. Once you get a peek at the baked goods behind the counter, you’ll know why. 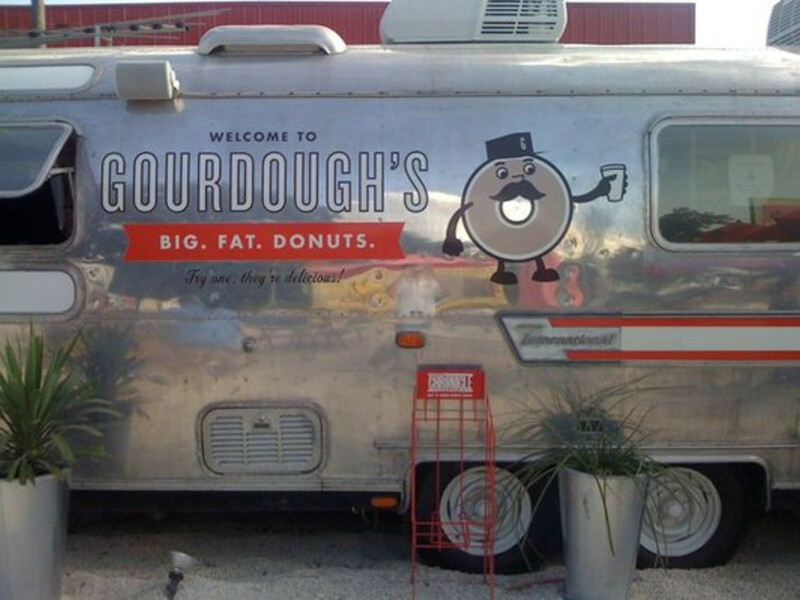 The kitchen is off-site in a commercial space in East Austin, but the case here is loaded with everything from colorful macarons (think toasted almond, vanilla bean, or caramel) and choucettes to palmiers and chocolate éclairs. We often settle in with a delicious cup of coffee and a croissant and think of the Champs-Élysées. This new gelato spot isn’t open yet (carpenters were busy constructing an outdoor patio on a recent afternoon), but we’ve heard good things about it. First, the owners are from Italy and know all about real gelato. Second, the spot will feature about 20 gelato flavors every day, and three, no artificial flavors or thickeners are used, only simple and fresh ingredients. We’re looking forward to mid-December, when this geleteria is slated to start scooping out creamy goodness. 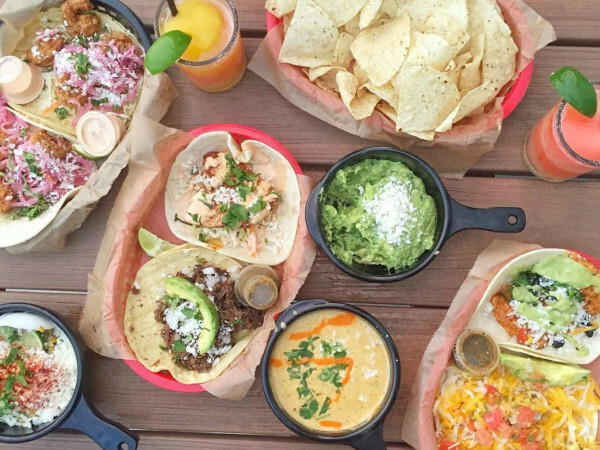 Families (even those with tiny adorable tots) and the beer-drinking horseshoe crowd hang together and kick back at this quintessential Austin joint. The main draw is the expansive back yard (which doubles as the outdoor dining area) that sits under a grove of massive oak trees. Kids take over the playscape area while adults nosh on everything from a seared tuna steak to a royale with cheese. For those who want a challenge, ponder the Freddie’s Heart Attack which features two pieces of Texas toast served open-faced with tomatoes, 10 strips of bacon, and queso. Live music played by local artists adds the perfect finishing touch. 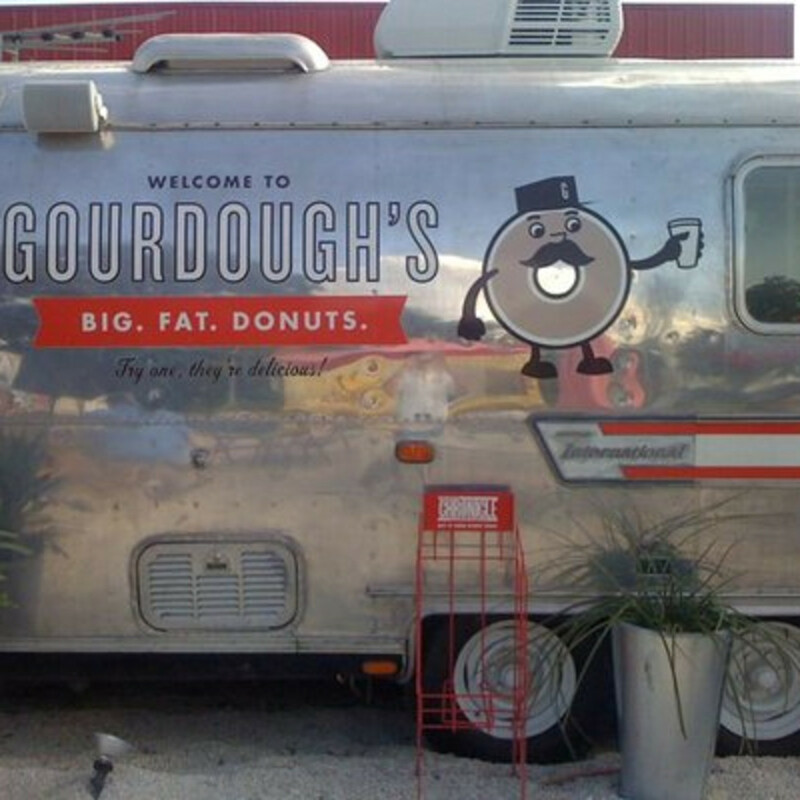 If you haven’t tried one of the big fat doughnuts at Gourdough's, you are in for a treat—literally. These mammoth rings of dough are topped with sweet, salty, crispy—and everything in between. The flavor combinations are spot on, from the Flying Pig (bacon with maple syrup icing) and the Heavenly Hash (marshmallow with chocolate fudge icing topped with fudge brownie candy) to the Funky Monkey (grilled bananas and cream cheese icing with brown sugar) and Razzle Dazzle (raspberry filling with chocolate fudge icing). 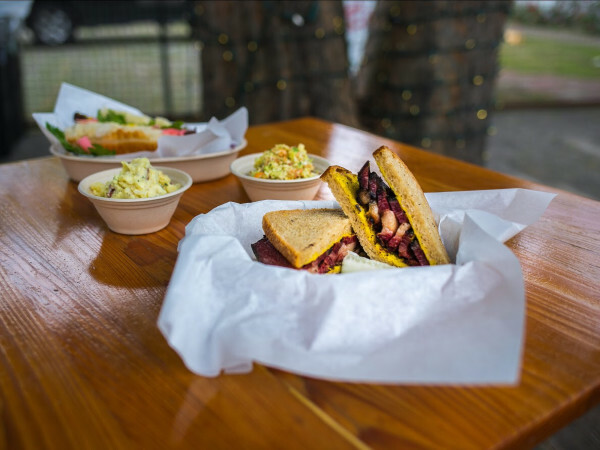 If you have even a morsel of room left in your stretched-out stomach, we recommend lingering at one of the bright-red picnic tables by the vintage Airstream trailer and washing everything down with old-fashioned water. The deal at this trailer is lobster — sautéed in butter or pickled or just about any way you can imagine. For the uninitiated, lobster goes with everything, and they serve it here in a massive submarine-style roll. The Main Event features fresh pickled lobster meat lightly tossed in house-made mayo and topped with lemon butter and chives, while the Ninja packs a punch with house-made hoisin and jalapeño-ginger sauces. There’s even a BLT version: chicken-fried bacon, with lobster and tomato. Other offerings (read: non-lobster rolls) such as pork and chicken, are up to snuff too. 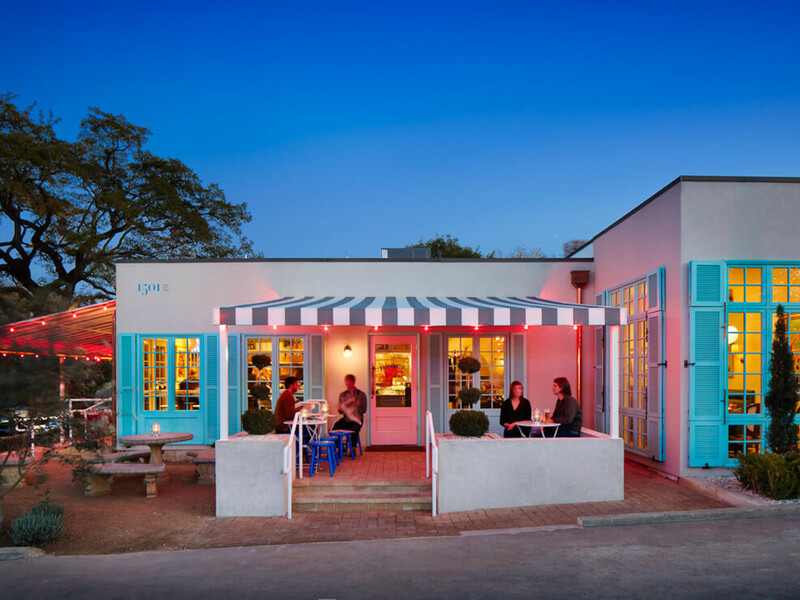 This stylish cottage turned French-Vietnamese cafe has it going on, from the buzzing outdoor patio scene to the light-filled interior dining rooms. The concept is simple (noodles and sandwiches) yet sophisticated. We like to nab a spot at one of the tiny tables around back and nibble on a bánh mí (a recent special of brisket with avocado proved delicious). Of course, we would have also been happy with the poached shrimp and hard boiled egg or the keffir lime fried chicken. Pho and bún lovers will think they have gone to heaven. This Thai restaurant is as much about the beautiful space (designed by über architect Michael Hsu) as it is the food. The communal tables make for a festive vibe while happy patrons feast on the likes of tom kha gai, satay, and stir fry (try the nashi pear chicken with brussels sprouts, chive, mushroom, Thai basil, and red chili). Jungle Curry (Texas wagyu beef, red chili, baby corn, eggplant, peppercorns and coconut cream) is righteous. We like to order a little bit of everything and take in the scene over a glass or two of wine.